Though it may contain one less speed than its newborn brothers, Shimano's M785 2x10 cranksets are still highly used today and continues the XT tradition of reliable lightweight performance at an amazing price. It utilizes many of the same technologies as its bigger brother, XTR to provide outstanding power transfer and smooth shifting. 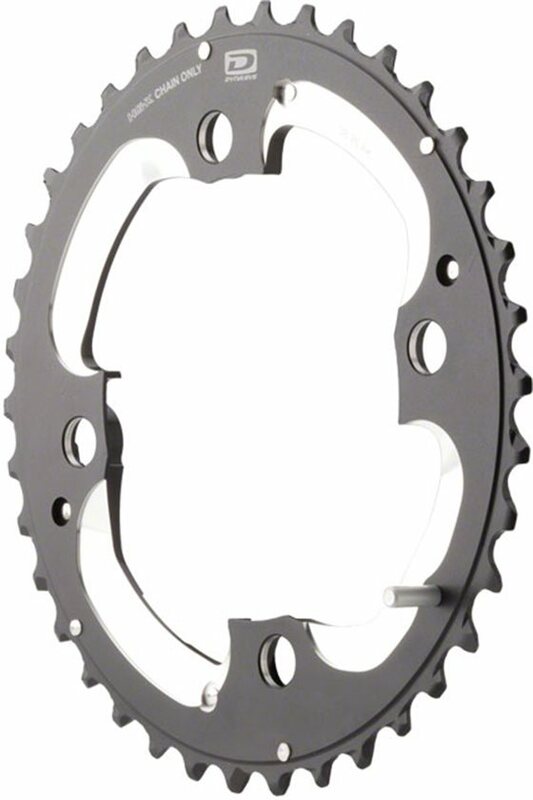 The best part is you can easily replace or reconfigure your gear setup by using these for the Shimano XT M785-series Dyna-Sys 2x10 chainrings. 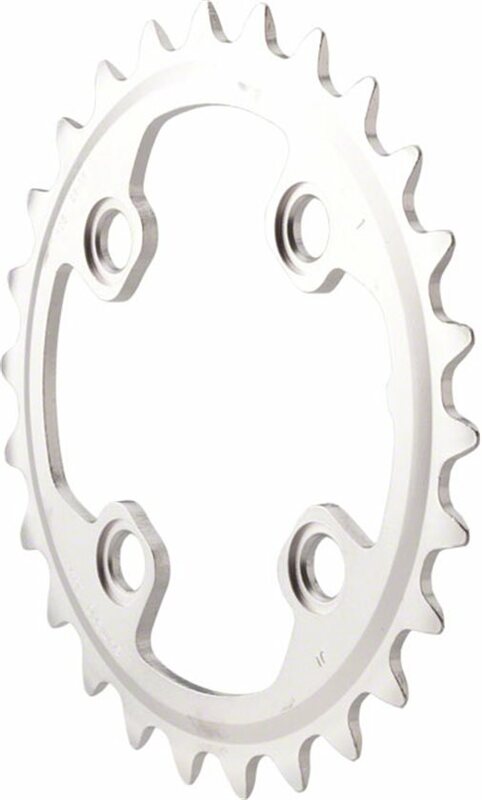 The Shimano XT M785 Chainrings use a 4-bolt 104/64 BCD pattern and are available in AK (26T inner, 38T outer) and AJ (28T inner, 40T outer) options, however please note they are sold individually. Shimano has been a product I have always used. This ring is a replacement for my original one. Great products. Smooth quiet and reliable shifting. What else can you ask for? Nice upgrade from what I had before once the drivetrain wore out. 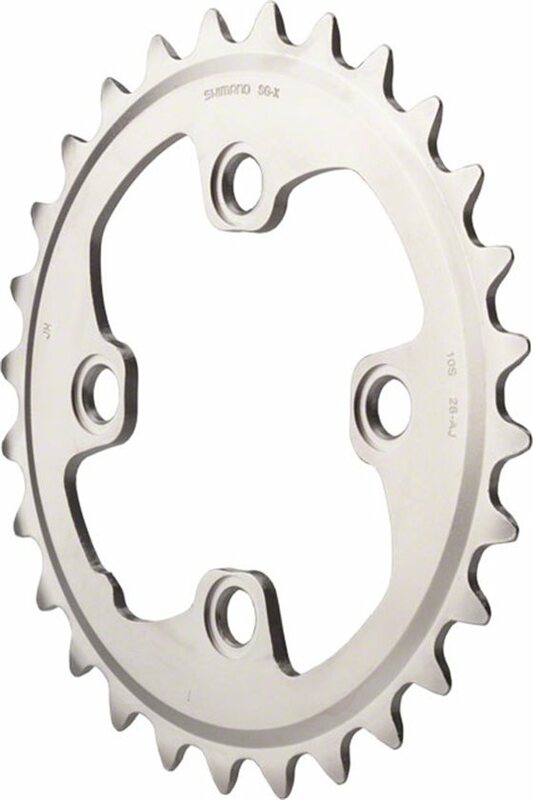 Keep in mind that you need to buy the same type of chainrings (AK, AJ type), that you need a T30 for the chainring bolts, and a Shimano crank extractor tool for the cap opposite the drivetrain. UPS for Mexico is excellent. Very easy to install, as long as you have the bike tools. Replacement ring. Wish they made these with a harder alloy so that it would not wear out so quickly. BEST ANSWER: I think(not 100%) it would work but it has ramps to lift and drop the chain to the next chainring. It might work better if you also added a chain guide. 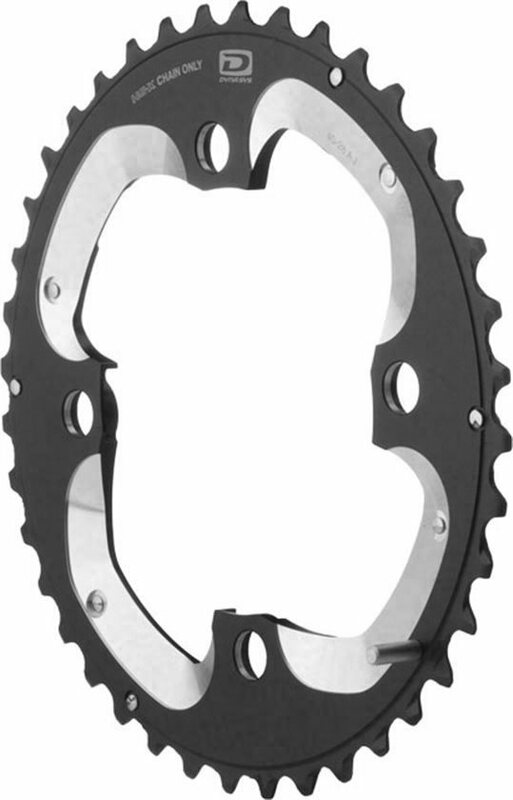 1x specific chainrings do not have these ramps and are design to hold the chain on the ring so you dont drop the chain. This would be a better choice. This ring would not be a good choice as most Shimano rings are ramped and pinned to allow for smoother shifts. You would want a single ring meant specifically for 1x set ups; typically narrow/wide to keep the chain on the ring. Yes, I used it that way. No problem. I would suggest you have a clutch derailer though. Can I use a 26 AK inner ring with my 38 AM outer ring? BEST ANSWER: I think it depends... I had a specialized Sram ring and the shimano one I bought even with same bolt pattern didn't work due to weird edges . 38 to 26 shouldn't be an issue though. Chances are low, could create problems in shifting when the chain steps up to the bigger ring or steps down to smaller ring the teeth may not engage the chain properly. Yes, I've used either 24 or 26 tooth inner rings with 38 tooth outer ring on my 2x10 Xt drivetrains.